I wrote all about what DisneyBounding here, but in short it is styling regular clothing and accessories using inspiration from your favourite Disney characters. Since I’m plus-size, my DisneyBound outifts use items from plus-size stores, and are all things I would feel comfortable wearing. My theme park “uniform” always consists of cropped leggings, comfortable shoes (for me, it is Olivia or Jayna style Crocs) and a sleeveless, floaty top so that I can stay cool in the Florida heat. Sometimes, restaurants can get very chilly with air-conditioning, so I’ll add a light layer for a bit of warmth! A great way to jazz up any DisneyBound outfit is with accessories. 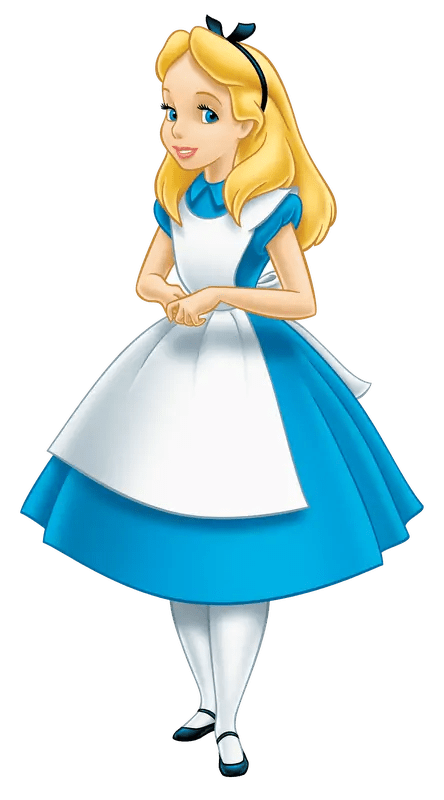 This week it is the turn of Alice in Wonderland! Here are the previous plus size DisneyBound outfits that I have put together – just click on the photo collages to be taken to Polyvore where you’ll find links to each item. Alice is so simple – white leggings, with a blue top! I picked red heart accessories, but you could also pick tea cups and tea pots, pink flamingoes, or red roses to accessorize with. Black shoes, red lipstick, and a black Alice band, with a bow. For the evening outfit, a blue dress and black wedge shoes – you could add white tights if you can find them in your size. I added a pretty Alice in Wonderland charm bracelet, but I left off a necklace as there was the flower detail around the neckline of this dress. A bigger black bow for your hair, and a white shrug if it cools down in the evening. I also add a sparkly, red heart clutch bag, and of course, some red lippy. Have you heard of DisneyBounding before? Do you DisneyBound? Thanks for reading Day 80 of 100 Days of Disney 2015! 20 to go! Come back tomorrow for another Disney post!